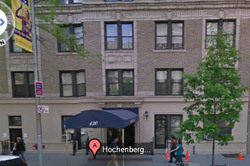 When you visit New York & Tarrytown dentist Dr. Richard Hochenberg, your smile is our top priority. Our entire team is dedicated to providing you with the personalized, gentle care that you deserve. We genuinely hope this site is helpful to you in learning more about our practice, dental conditions and treatments, dental recommendations, and more. NEW PATIENTS CLICK HERE to learn about appointments & payment options as well as find answers to frequently asked questions, download patient forms & more. We also encourage you to visit our patient education videos which provide valuable information on dental procedures and treatment options. Be sure to give us a call if you have any questions or would like to schedule an appointment. 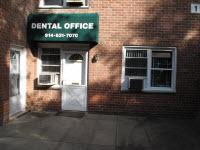 Dr. Richard Hoochenberg in Tarrytown and New York City, New York is dedicated to family dentistry offering services that include Exams, Teeth Whitening, Veneers, Makeovers and more.